Johann Friedrich Timpe of Berlin had a long working relationship with Heinrich Leue also of Berlin. 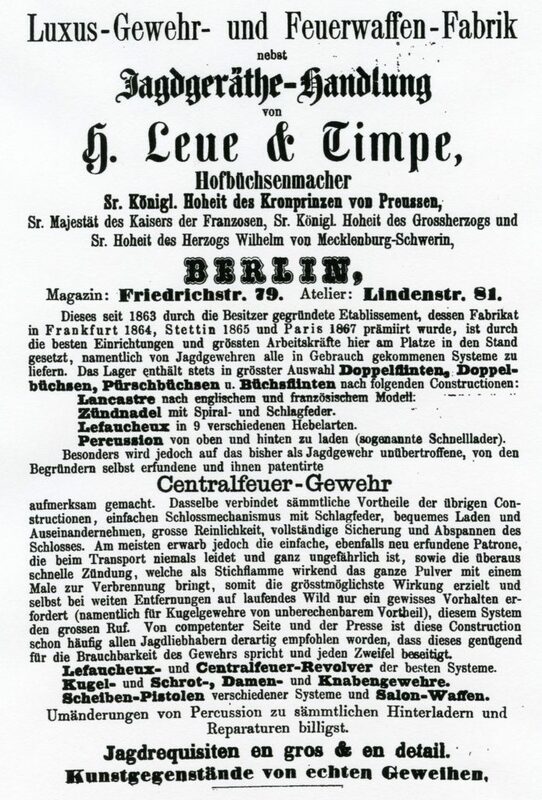 An ad from 1860 shows Leue and Timpe together. 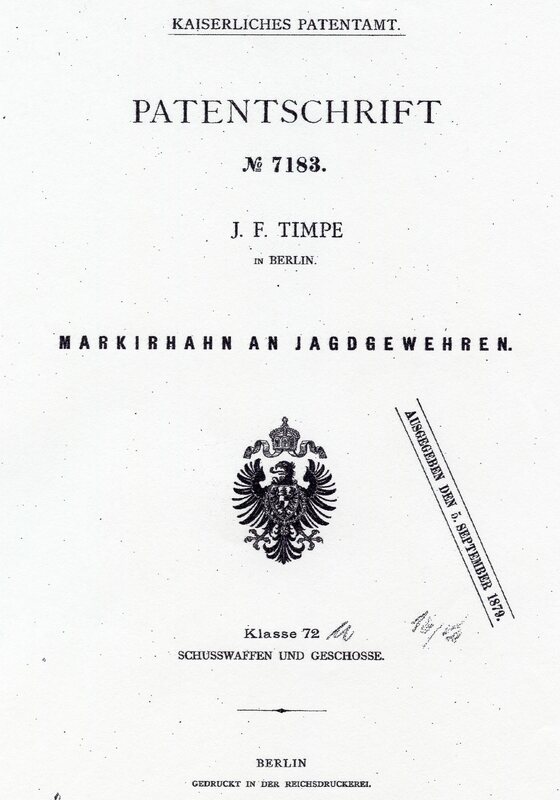 On Aug. 8, 1863 the founding of the new firm of J. F. Timpe was rcognized in the Handels-Register u. Anzeige-Blatt zum Central-Organ. Nr. 35. Some sources state that Heinrich Leue started his business in 1876, I believe this is when Leue and Timpe seperated and went into business for themselves. 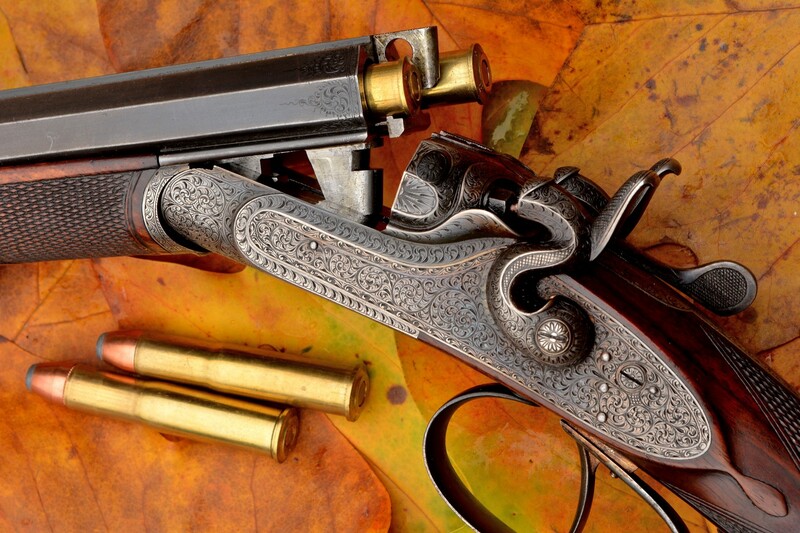 Click here to read more about Heinrich Leue and the firm Leue & Timpe. 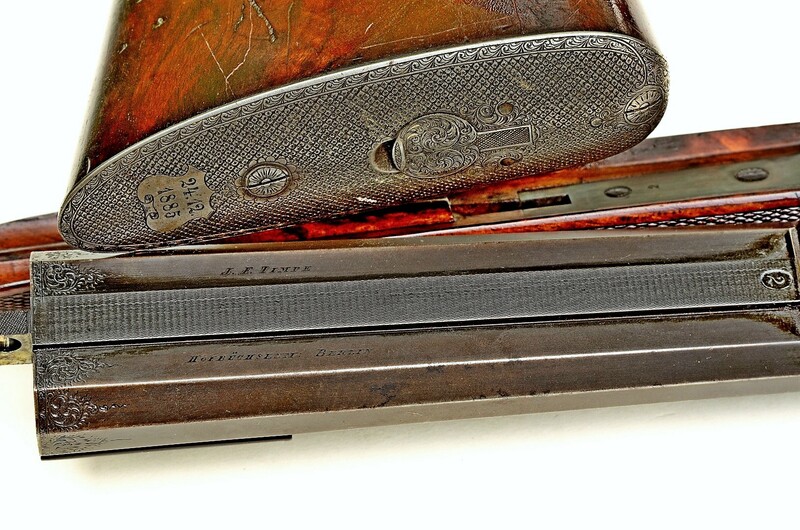 Johann Timpe went on to build fine guns for many years and side by side double rifles seem to be a specialty. An Advertisement from the 1873 Handbook of Industry. On Sept. 5, 1879 Johann was issued DRP no. 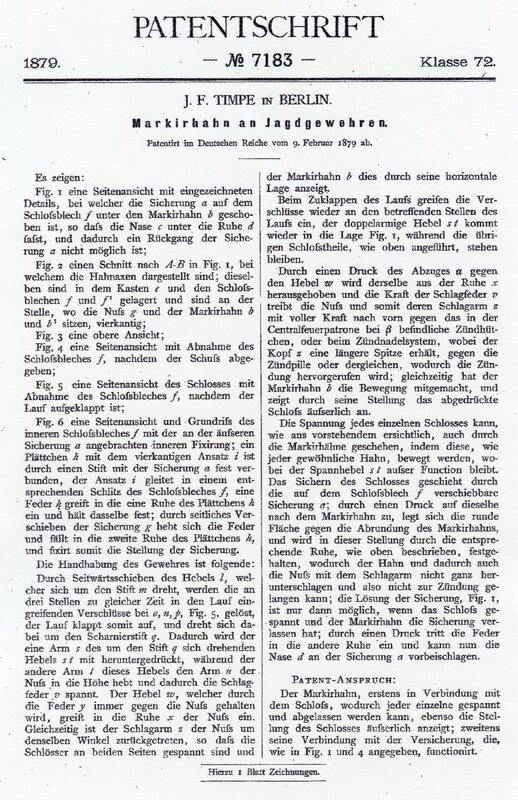 7183 for Markirhahn an Jagdgewehren. 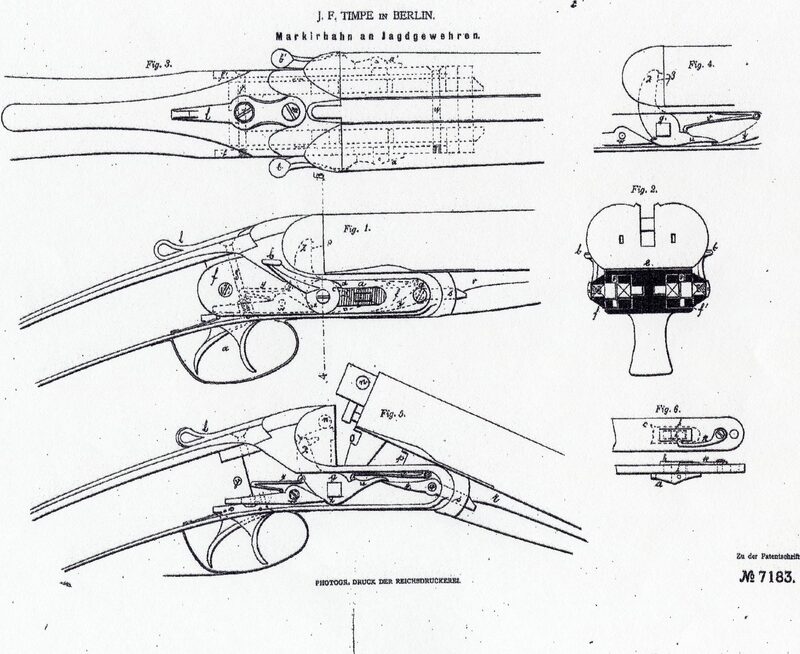 The following is that patent. The following images are courtesy of Fredrik Franzén in Sweden and shows the high quality of work achieved by Timpe. 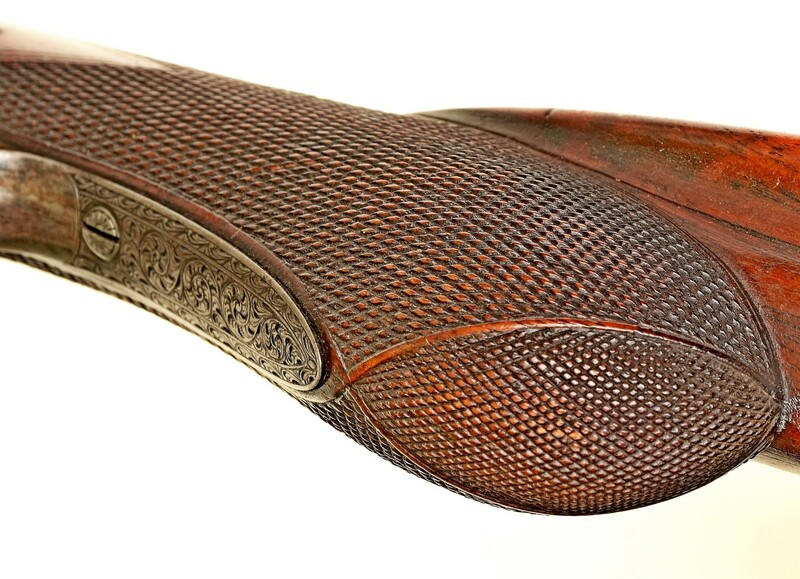 The images show a 11mm. 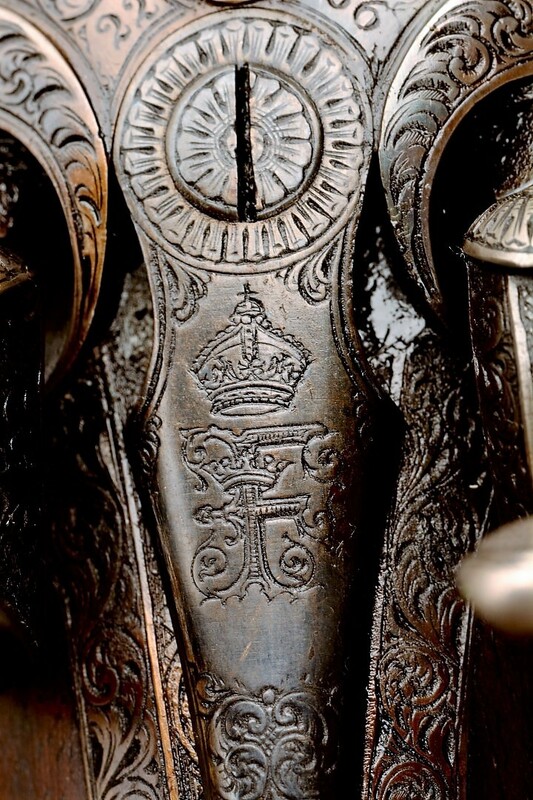 double rifle which was a Christmas present to Kaiser Frederick III in 1885. 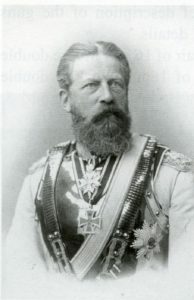 Kaiser Frederick III (1831-1888) was the son of Kaiser Wilhelm 1st and the father of Kaiser Wilhelm 2nd. 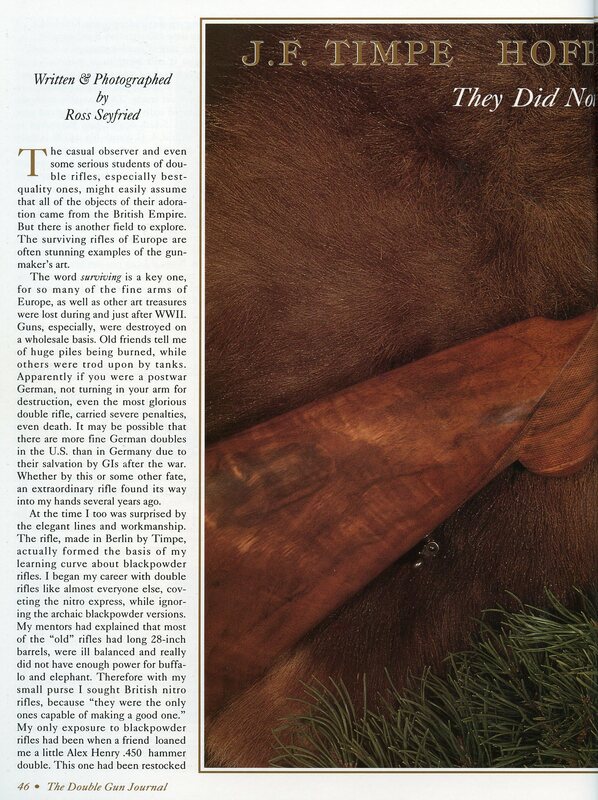 The following preview article appeared in the Spring 1996 ( Vol. 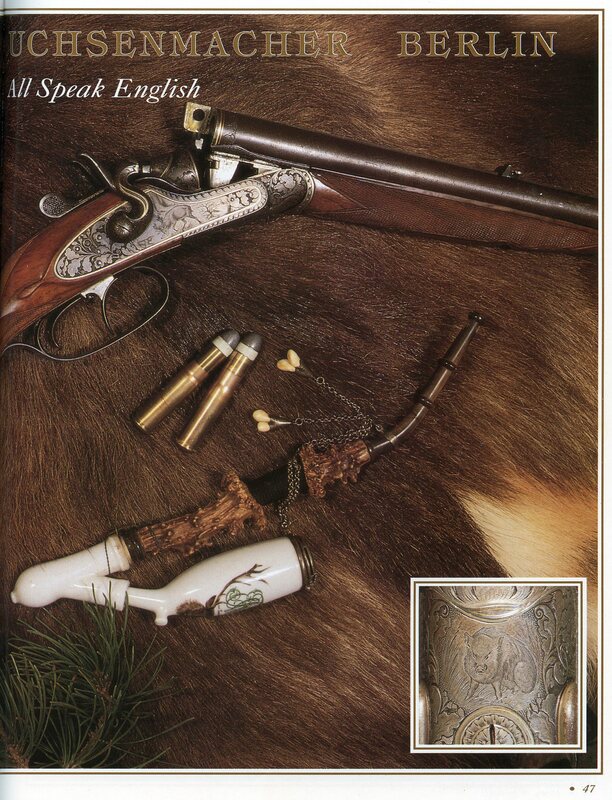 7, Issue 1) Issue of the Double Gun Journal and is courtesy of Daniel & Joanna Côté. 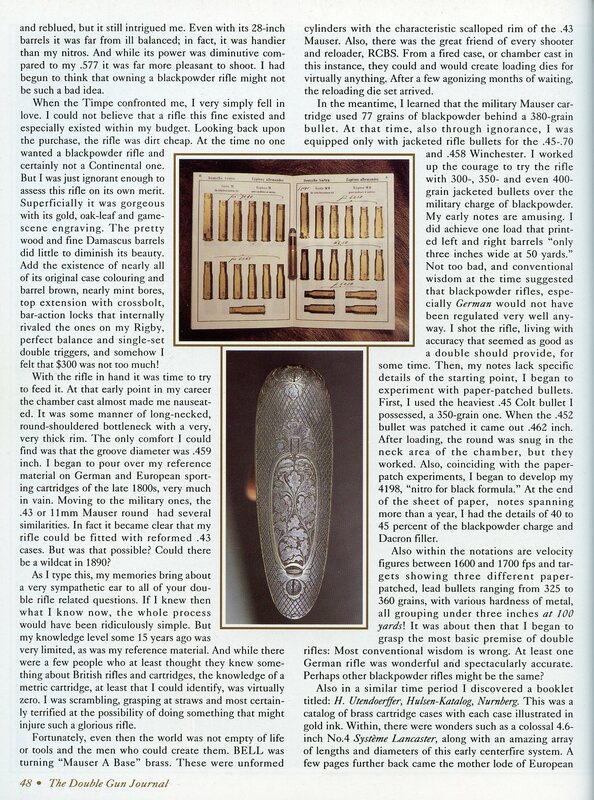 A back issue with the full article is availible from them at the Double Gun Journal.